We arrived at the airport by 10:30 PM but due to long lines on the immigration, we went to the tourist pick up place by 11:30. Fortunately, my contact was not a scam LOL. We waited for other passengers and arrived on Rambler Garden Hotel by 12:30am. We were so hungry so we decided to take a cab to look for a resto, unfortunately people dont really speak English on that area. We headed back to the hotel, still hungry. Day 2. We were expecting a buffet but our package only included a sandwich and coffee breakfast. Anyway, we are in HongKong so there's no room for bad vibes. Our tourist shuttle arrived by 8am, we had a tour guide who gave trivias about the city. We had a quick stop on Avenue of the Stars, midlevel of Victoria Peak and we even rode a boat for additional PHP600/100HKD. It was also the time that I bought pasalubongs like pens, mirrors and bottle openers. I spent at least $500HKD or PHP3,000 on these pasalubongs, the bottle openers are such a hit to my male buddies. My mom's favorite stop was the tour at the Jewelry Factory. She only bought 1 item but the price is equivalent to everything that I spent! I had a "bibo" moment when I joined a trivia contest during the orientation, I even won an emerald stone. It turned out to be a trap because I need to pay PHP500 so that it can be made into a pendant. Anyway, that was a fun experience! We immediately looked for a resto! We first saw the Corner Cafe and my dad said forget the price, lets go inside! 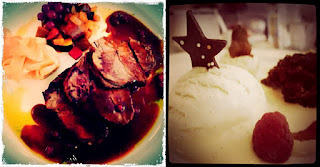 So we ordered a 3 course meal - salad, steak, ice cream - and when we got the bill, surprise PHP12k! I told my mom, the money we saved last night is added to our lunch bill LOL. I actually promised to treat them for lunch but I passed on this one. After an expensive meal, we now had the energy to shop and explore Disneyland! We caught the parade and I honestly teared up. 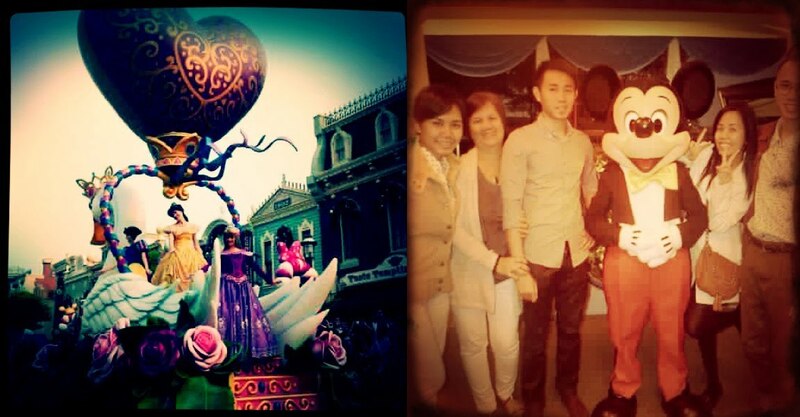 But it was happy tears, it took me 26 years to experience it :) We rode the carousel, took photos with the Disney gang, road the train and capped the tiring day with the fireworks show. We went back to the hotel by 10pm and we were too exhausted to go to the night market. We only had 1 meal for that day, looking for restos is not an option based on last night's experience. Fortunately, we discovered the 7/11 store on the hotel! Day 3. We explored the Ocean Park. It was winter and I was wearing the wrong clothes LOL. The Ocean park was set in 2 islands which added on the coldness *brrrr. The Ocean Park is so big!! We rode the Tower and we saw how vast the are is. I think we only explored 1/4 of the place, you will need at least 2 days to enjoy everything. 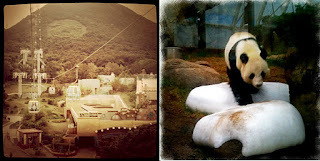 The highlights for me are riding the cable car and seeing a Panda!!! We ate at the Panda Cafe which is more affordable compared to Disneyland's restos. 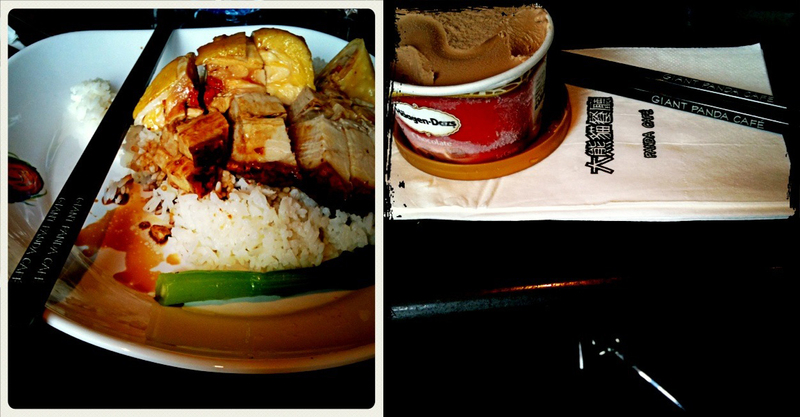 A rice meal with 2 viands and Haagen Daz ice cream costs PHP500 or $90HKD. By 5:00PM, we went back to Olympic City to shop. 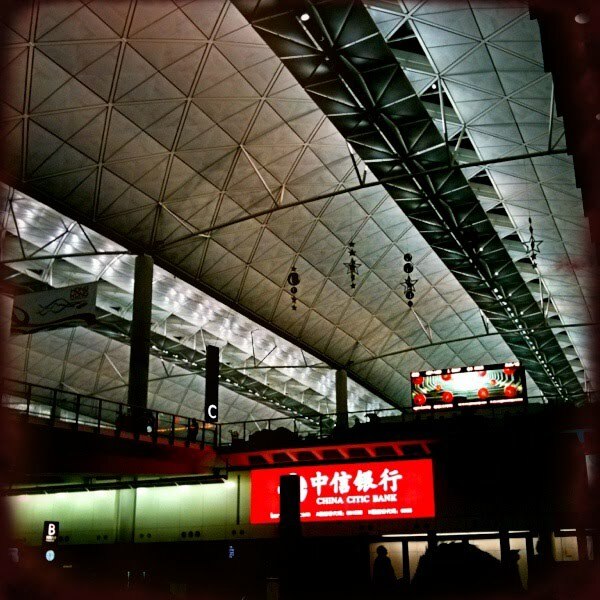 By 11PM we officially dropped, I begged off to look for that Mongkok Night Market. My foot already hurt so bad from a walkathon on 2 malls. 3 train stations earlier, were back to the hotel to pack our things. We tried to sleep and catch our 8am flight. 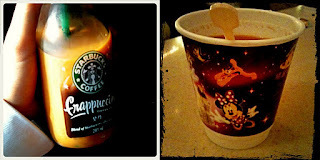 A funny anecdote is that we were stuffed with caffeine on the entire trip although we were famished most of the times.